Kichler hired Ron Devorsky as national sales manager. Devorsky’s background includes sales, marketing and store operations across various market segments in North America. He joins Kichler after spending 24 years with Sherwin-Williams, most recently as the vice president of sales and formerly as district general manager and vice president of marketing and new product development. 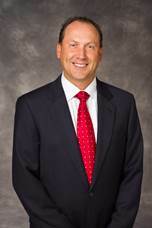 Devorsky has a bachelor’s degree in business administration from Hiram College and is a resident of Strongsville, Ohio.